As Europe’s favourite airline we believe that it is our responsibility to give back to charities and organisations that are in need of funding and raised awareness. We are very proud of our charity partnerships and we thank all of our customers for supporting the invaluable work they do. 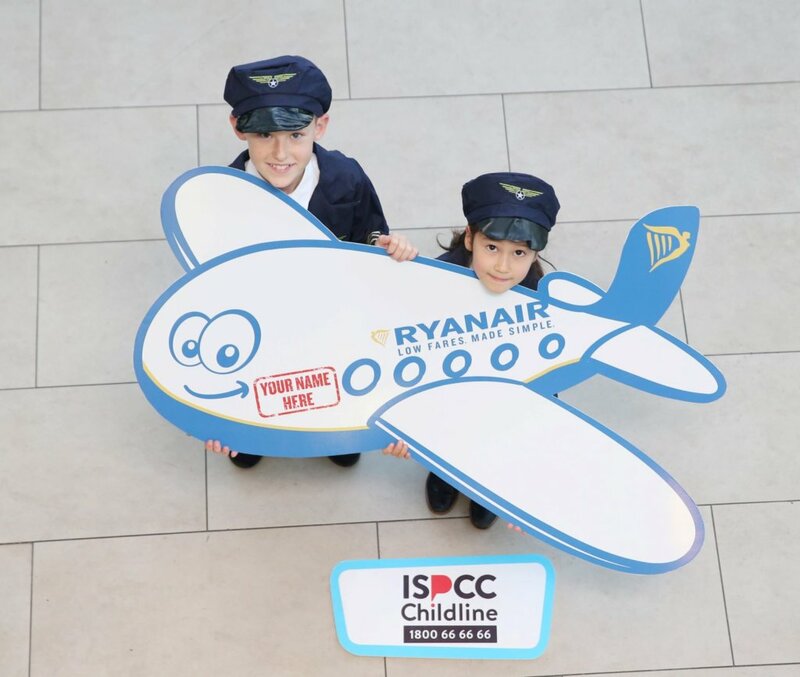 ISPCC Childline has been our chosen Irish charity partner since 2016 and Ryanair customers have supported numerous fundraising campaigns and competitions to help their vital work. Childline is Ireland’s 24-hour national listening service for all children and young people, and Ryanair’s funding helps it operate 24/7, 365 days of the year. So far, we have raised over €300,000 for ISPCC Childline. “ISPCC Childline relies on corporate and public donations for over 90 per cent of its funding, to ensure the service is always there for every child and young person in Ireland,” ISPCC CEO, John Church said. Over the last 5 years our Scratchcard sales have generated over €2 million, which has been donated to charities across Europe covering a wide range of hospitals, schools and child welfare fund raisings. In total, we help 7 organisations. 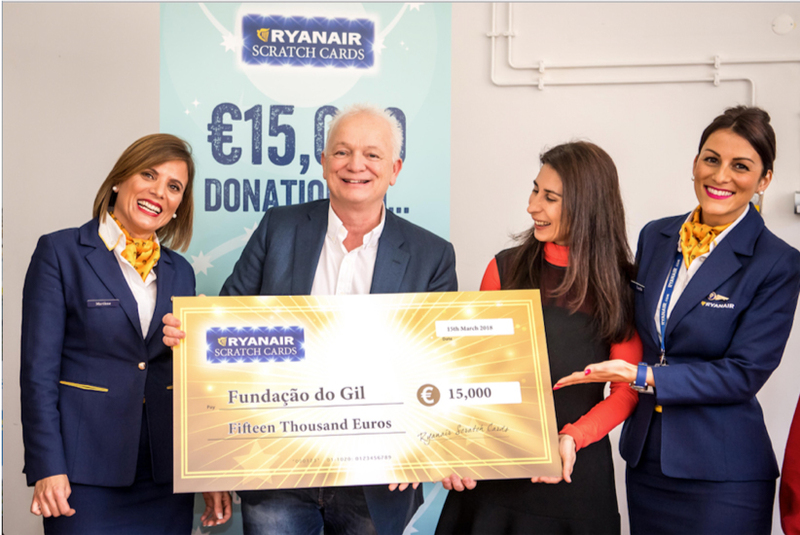 “Having Ryanair supporting us is very important because it helps us spread our everyday work in the charity and most of all, it help us to finance Casa do Gil. This kind of organization debates everyday with fundraising issues. It is crucial for the maintenance of the projects that we keep raising funds to support all their costs. This Partnership truly helps us to do our mission: help children with special needs growing up with all the love they deserve and pursue all their dreams. We have partnered with the likes of Trinity College Dublin, National Gallery Ireland, Erasmus Student Network and many more. 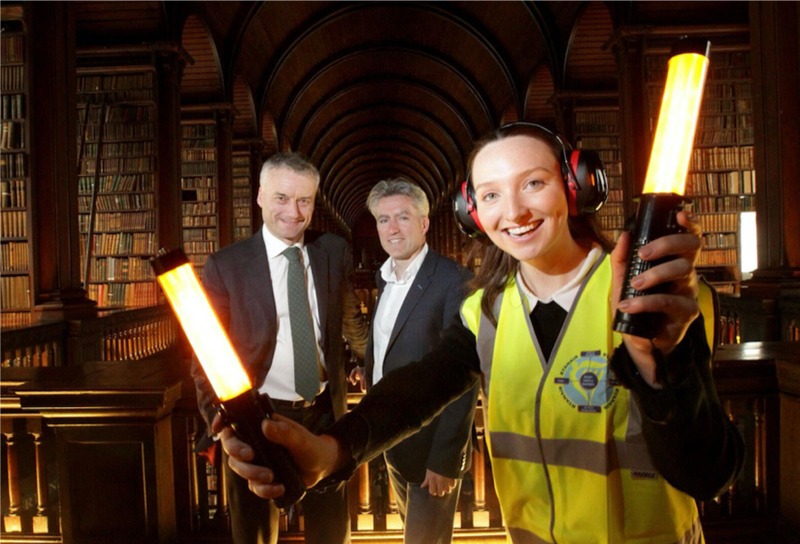 Ryanair’s partnership with the Trinity Business School at Trinity College Dublin supports the new position of Ryanair Professor of Entrepreneurship, which will drive and direct entrepreneurship and innovation at the Business School and across the university. Ryanair announced a new 3 year Premier Corporate Partnership with the National Gallery of Ireland in Dublin. The partnership, which runs until 2020, will enable Ryanair to support the arts under its “Always Getting Better” programme. The newly refurbished Gallery, which was founded in 1854, is located on Dublin’s Merrion Square West and is one of Ireland’s leading institutions of cultural importance, attracting over a million visitors per year. Ryanair offers university students across Europe a range of exclusive flight offers, free bags and tailored discounts to suit their budget. Any Erasmus student with a valid ESNcard can sign up via the “MyRyanair” registration service and save even more while they travel on Europe’s biggest airline with the widest route network and the lowest fares.